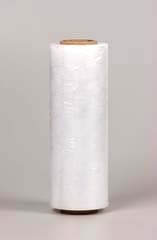 Heavy duty polyethylene film for use in wrapping merchandise for shipping purposes. 80 gauge, 15 in x 1500 ft roll. Reflective white film adheres and stretches creating a air-tight tension seal for 12 months of outdoor storage and fermentation. Reflection of heat reducing heat build-up, tough strength which lasts for a complete season, thereby reducing costs of storage compared to the use of trench silos, bags or silo storage. 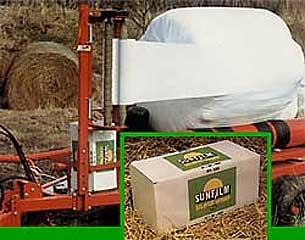 Results in a high level of protein in your wrapped bales and eliminates the need for indoor storage while keeping bales virtually spoilage free.